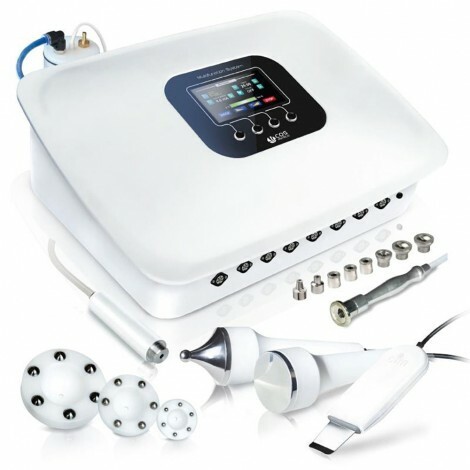 - Multipolar radio frequency: stimulates the production of collagen and elastin. Lipolytic action on the body. - Mesoporation: Energy that allows a diffusion of the assets in depth to the heart of the cells. - Infrared: Infrared contact rays can heat the skin deep up to 7cm. Fat liberation action. Anti cellulite. - Microdermabrasion diamand: mechanical abrasion useful for the damage of superficial layers of the epidermis. It eliminates dead cells and stimulates cell renewal.